These are my jalapeno cheddar buffalo burgers. You can make them with beef though. They are great. 3 oz cheddar cheese, cut into small cubes. If you use shredded, the cheese just completely melts into the burger as is cooks. 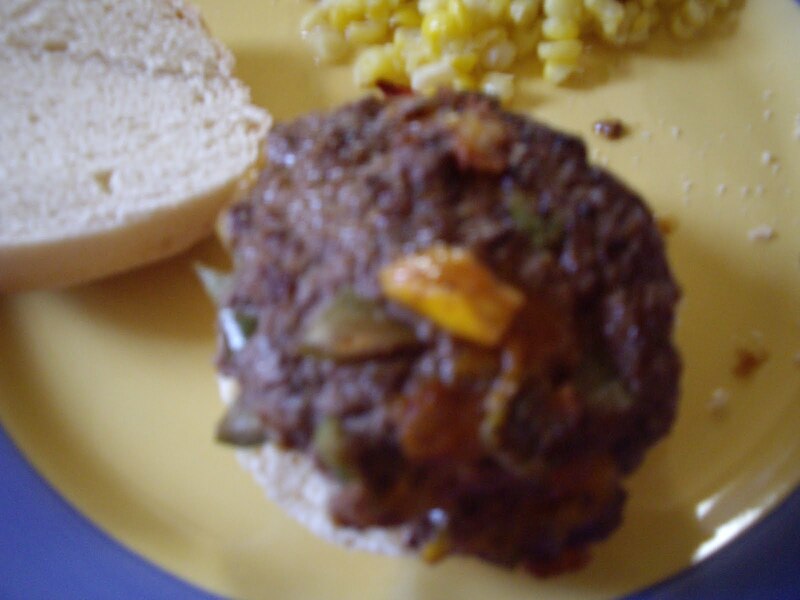 Combine, the meat, peppers, and cheese and form into 4 or 5 patties. Cook in a skillet over medium high heat until done. Or grill them if you like. Salt and pepper one side before turning over and cooking the other.